Great experience. Stuart and his team totally redesigned our kitchen. From Stuart's design consultations where we felt listened to and enjoyed working together, to the team ensuring quality throughout the build we couldn't fault it. This work included wall removal to extend the space, new ceiling and all the mod cons you could expect in a modern new kitchen, the wine fridge is being well used as well as the window seat which was built in for us. The finish is first class and attention to detail great. Highly recommend, so much so we're inviting the team back to tackle our bathroom next. 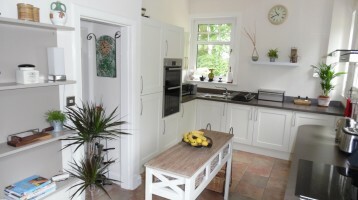 Stuart and the team were faultless during the whole process of our kitchen design and fit. We knew roughly what we wanted but Stuart was able to expertly advise how to achieve it. He has a keen eye for detail and had our complete confidence throughout. I have no hesitation in highly recommending Stuart. Stuart and Steven provided a first class service. 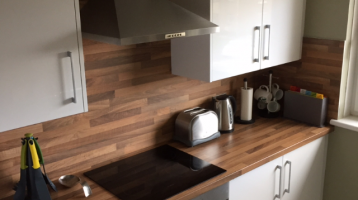 We needed our kitchen refurbished; they helped with some excellent design suggestions and ensured the work was completed to a high standard. I liked the friendly, professional and personal touch from a local company and they were always on hand to advise and to check the work. Having checked with other local suppliers, their pricing was also competitive and they gave value for money. I would happily recommend them for any interior deign and fit out work. Steven and his team were outstanding from our first consultation to job completion. When deciding on our new kitchen design Steven was very helpful and showed great product knowledge. My wife and I went from having no idea on design or layout to having 3D designs showing us different options on how kitchen would look making best use of space available. When it came to the fitting of our new kitchen we couldn’t of asked for a better team. 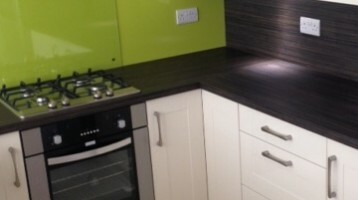 The fitters were always on time and very polite and respectful. Everything went to plan and they managed to complete the work ahead of schedule which is always a bonus. Overall we are absolutely delighted with the final results. A great job done. We highly recommend Signature Design Interiors Ltd.
We had a recommendation from a friend and very glad we choose to use Stuart to design our kitchen. 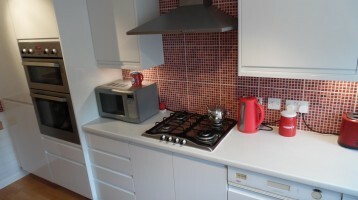 We had been to several kitchen designers but Stuart was more economical and gave us exactly what we wanted . 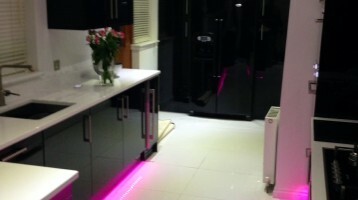 He was a great help choosing our worktop and had good contacts we were able to visit and see exactly what we wanted . He is a joy to work with and nothing was too much trouble even when we changed our layout .